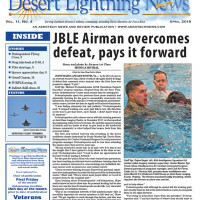 Welcome to the Desert Lightning News Digital Edition! This month, we have the 2018 edition of “The Book.” This is the annual mission update for Davis-Monthan AFB, which includes information for each organization on D-M – mission statements, demographics and responsibilities for each squadron, unit and other groups on base. 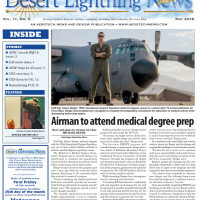 Welcome to the Desert Lightning News digital edition! It’s a summer season of change at Davis-Monthan AFB, as Col. Mike Drowley assumes command of the 355th Fighter Wing from Col. Scott Campbell. 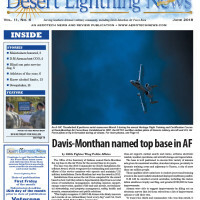 Welcome to the Desert Lightning News Digital Edition! 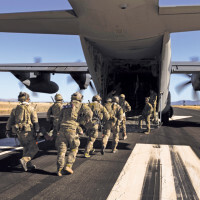 Click on the link above and check out our front-page story this month: for the second time in six years, Davis-Monthan AFB has been named the top base in the Air Force by the Office of the Secretary of Defense. 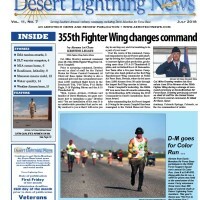 Welcome to the Desert Lightning News Digital Edition! We have a great issue with news and features prepared for you this month – starting with our cover story, which features 755th Operational Support Squadron Staff Sgt. 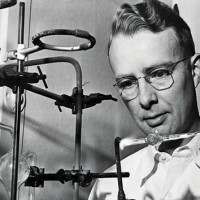 Shane Berger.